Congestion in urban areas is a main traffic challenge. Solutions to this problem include building more roads or have more people in each vehicle. Each of these presents their own challenges. However, one inexpensive approach is to improve the traffic flow, in particular by improving signal plans in intersections. We present a prototype case-based reasoning system, which can control traffic lights in an urban intersection. The system uses real historical vehicle counts from an intersection to make new signal plans. 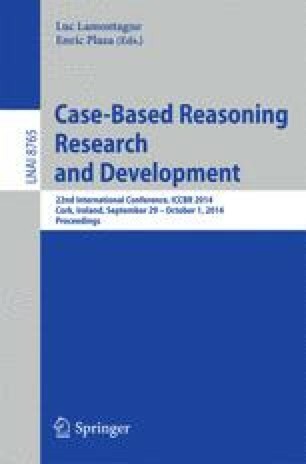 jCOLIBRI is used as the framework for the case-based reasoning system and an evolutionary algorithm is used for weighting the cases. Simulations carried out in Aimsun, a simulation tool used by the Norwegian Public Roads Administration, indicates that satisfactory signal plans can be made in a variety of scenarios.